This weekend I went to the garden center to buy tulips for this year. I had been wanting to go and buy some all week, and finally in a little free time, I had the chance to go. Last time I went to the garden center I noticed they were getting ready for the tulip season, they had some bulbs out and they were starting to hang flyers for promotions, so I imagined they will have more later on. This time I went they really were all set. 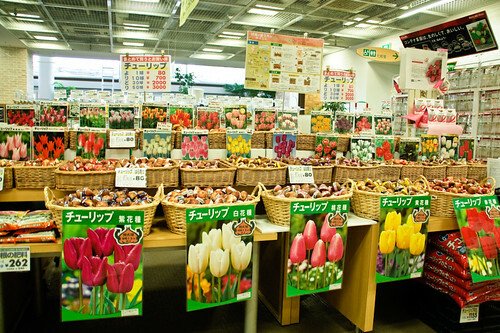 They had a nice selection of tulips and many other bulbs. I don’t have much space on my balcony, so I can't buy that many, but I think I can fit six. It was really hard to decide what type and color, and at the end I decided for simple ones, some big some small. I got all in different colors, a bit risky in case one of them doesn’t bloom, but is ok. I hope they all make it. It will be the first time I have tulips, although I've always wanted to have some, but back in my country I could never have them because they would never survive in that heat. I will set them in these days. Wish everything goes well. 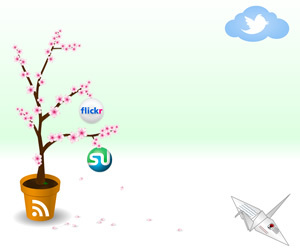 I love, love, love your images! I know it sounds kinda weird, but I'm curious about how garden shops look like outside of Italy, and that first image...wow! The display is just gorgeous! At our garden store here they just have a really modest selection and they don't even have posters up to show how the tulips will look like. You just have to judge by the small label. Also, are the bulbs all labeled like that? Ours are just lumped all together in a plastic bag. Really boring! Here in japan is amazing, i love their culture of service, everything is made to please the customer. For example, on the tulips they had all the posters to show how they will be, and they had the recommendations for each bulb, also best practices for getting in the ground and they give out flyers with tips and time frames. Everything is so well thought and all is taken care of to the smallest detail. It is like that for everything! And yes the bulbs are all labeled like that they say color and type, the color of the label is the color of the flower. Wow! It's great to be able to buy them one bulb at a time. Sometimes you can find seed potatoes for sale that way here, but I've never seen it with tulip bulbs. I hope they all grow well for you. It will be interesting seeing all the different types and colours. 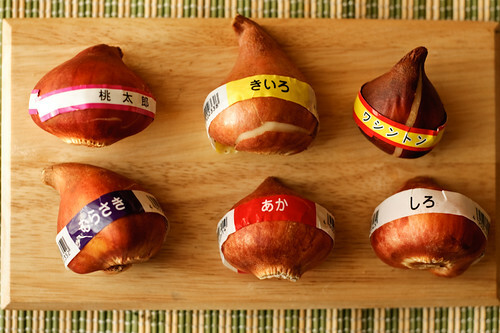 Love the bulbs, I forgot how good the quality in Japan always was, you can tell they're really healthy and I love how they're labeled, very cute. First image is amazing! Thanks for sharing with us!